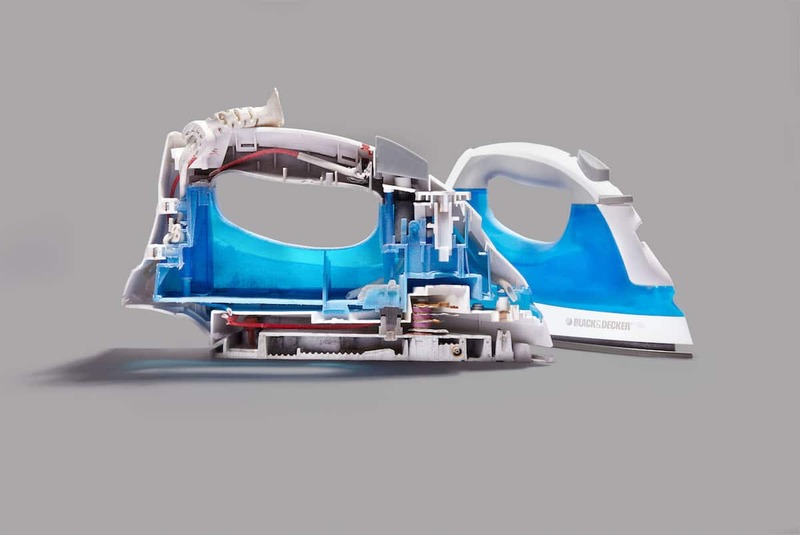 Whether you’re vacuuming or boiling the kettle, you probably don’t stop to think about the complex engineering behind the everyday appliances you’re using. However, if you did, you might be surprised to discover exactly how they work. In a bid to do just that, designer, inventor, and fabricator Mike Warren decided to look inside pretty much any object he could get his hands on. 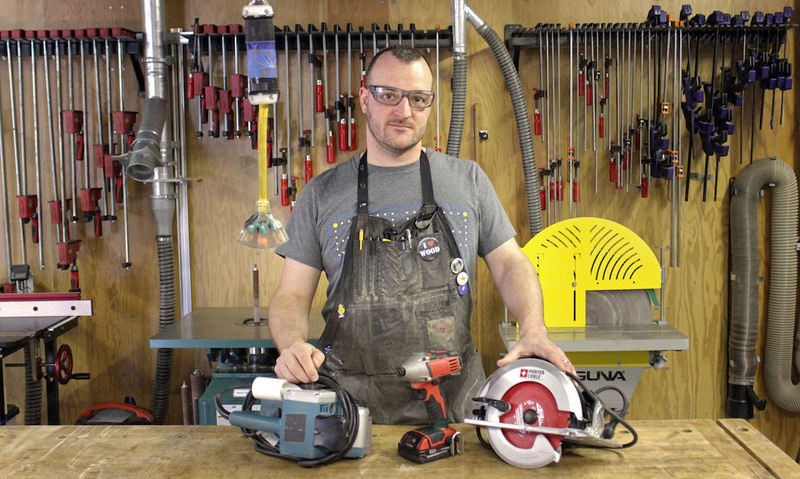 Rather than simply using a screwdriver to open them up, he opted to use a state-of-the-art, 60,000-psi water jet cutter to slice them in two. 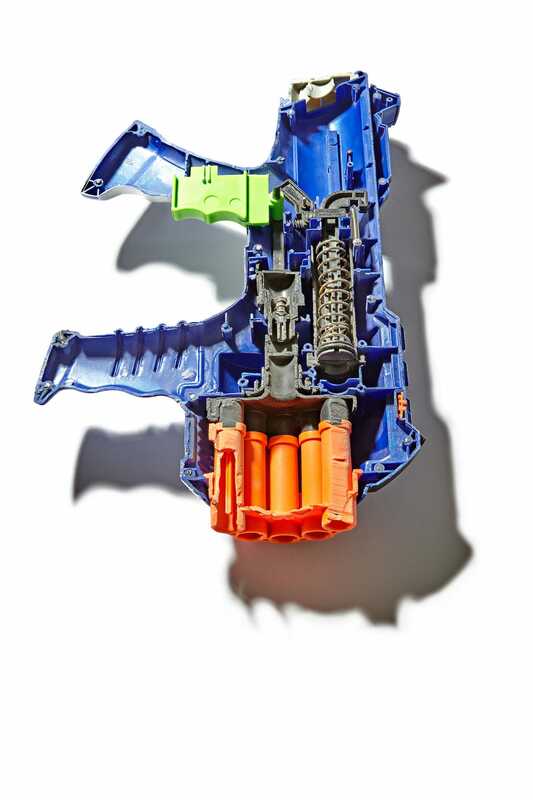 Warren’s ongoing series, aptly called Cut in Half, explores the fascinating inner mechanics of ordinary objects. 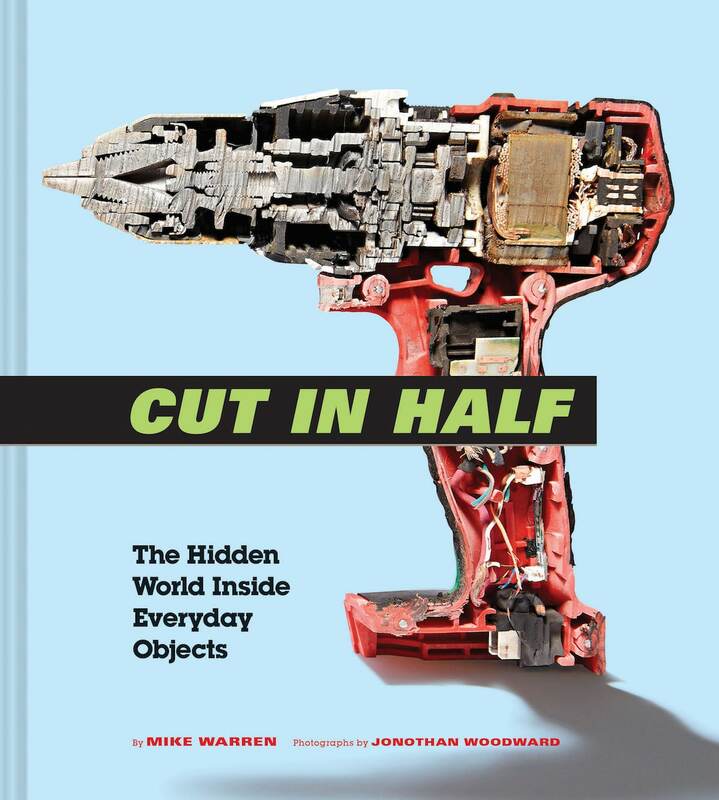 The curious tinkerer has been doing this for years through his popular YouTube channel, but he’s recently published a book featuring dozens of bisected objects photographed by Jonothan Woodward. 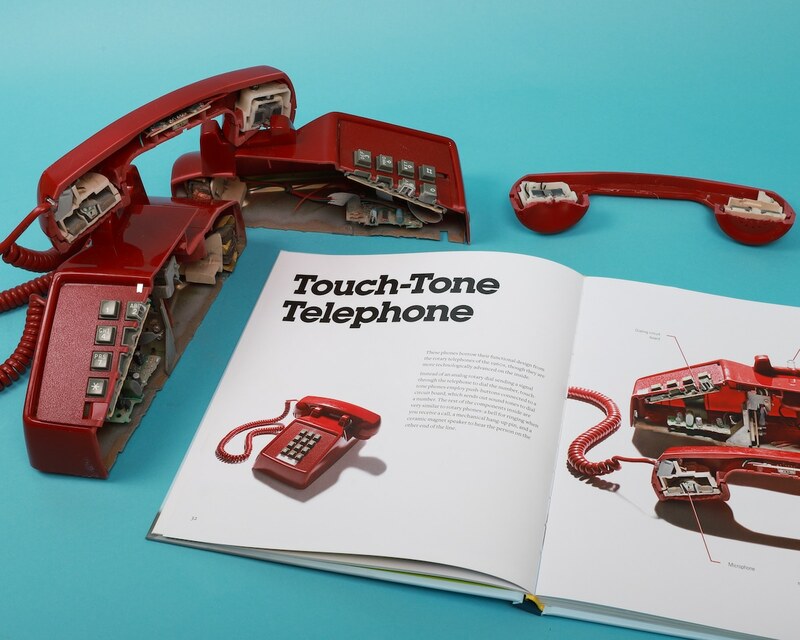 The 144-page Cut in Half book exposes “The Hidden World Inside Everyday Objects,” from boom boxes to boxing gloves. 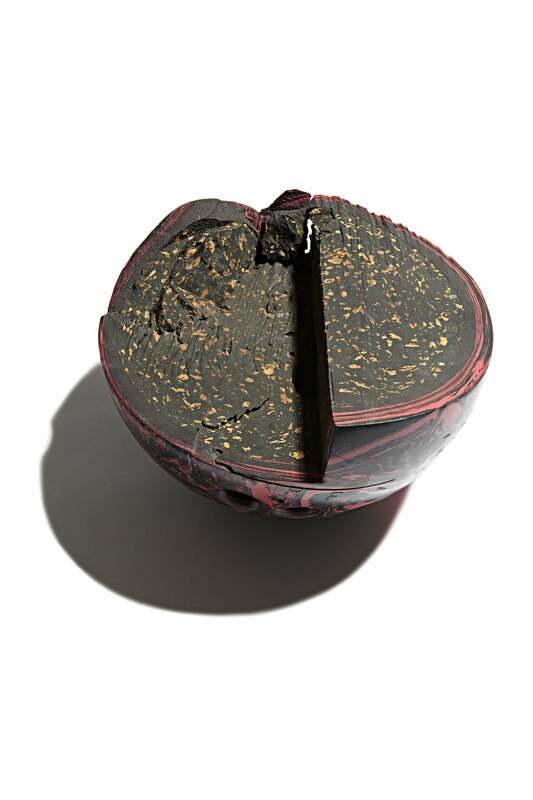 To accompany the stunning photographs, Warren describes the inner workings and materials of each item. We recently caught up with Warren to find out more about the Cut in Half project. Read on for our exclusive interview, and if you’re fascinated by how things work, you can buy his book on Chronicle Books’ website. What inspired your Cut in Half series? I always loved the show How It’s Made because you got to go inside factories to see how things were assembled and how they worked. I wanted to do something similar, but explore from the perspective of what things look like when they are bisected. What was your process for slicing your objects in half? Each item needs to be securely clamped before cutting. The water jet produces up to 60,000 psi, which can send pieces flying around. There’s an optimal cutting path for each item, which is a balance between making a cut and producing an interesting result. Due to the height limitations of the machine it’s not always possible to get the cut I want as the object might not fit under the cutting head. After the setup is complete the water jet is tuned to ensure the right amount of water pressure and garnet is used for a clean cut. Once the cut is complete the item is removed from the machine and cleaned. The time intensive part is drying the piece and gluing all the parts back together again to take photos. Since most of the structure is cut away, the “guts” of whatever was cut usually fall out and need to be put back together again, like a puzzle. Do you have a favorite object from the series? The handheld vacuum and the cordless drill are favorites because they show so much detail. With the vacuum, you can follow the path dirt takes once it enters the nozzle and into the holding chamber, then follow the air flow past the impeller and out the exhaust. With the drill, there is so much complexity in the gearing, it’s mesmerizing to examine the detail. I think that’s really neat! 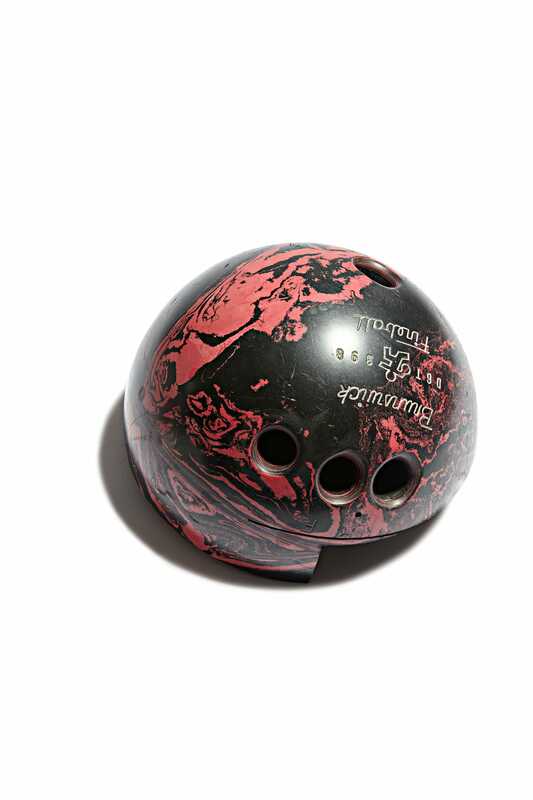 Were there any objects with insides that completely surprised you? The clothing iron was much more interesting than I first thought. Being able to examine the inside and figure out what all the parts do and how they interact with each other is the most fun for me. The clothing iron I used was surprising as a seemingly simple operation of turning water into steam was more complex than I had thought, especially with such a small device. It’s great to explore how design engineers made all this work. What can readers expect to find inside the Cut in Half book? Readers will get an up close look at everyday items and see that there’s much more that goes into the design of things that we see everyday. 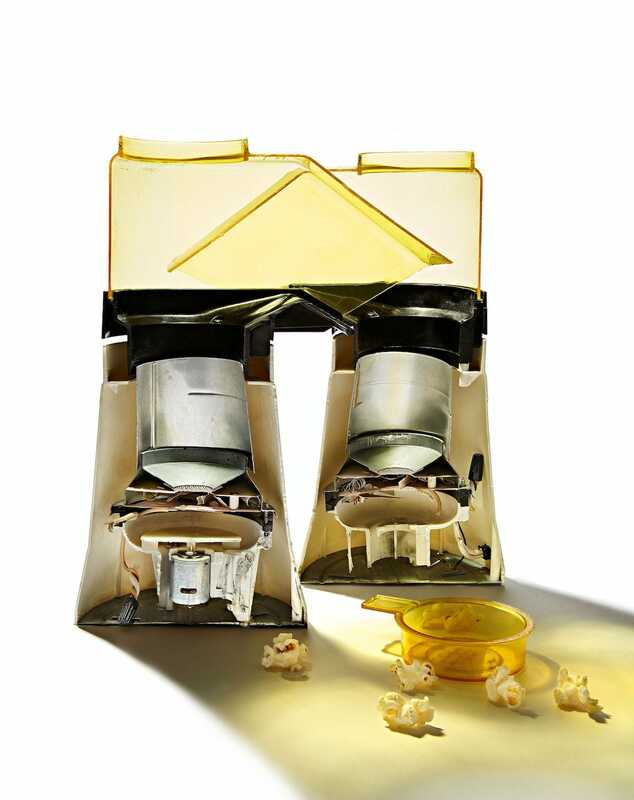 Using a popcorn popper as an example, it’s someone’s job to figure out not only how to make popcorn pop, but do it in a compact, efficient, and in an aesthetically pleasing casing. It’s so neat to be able to see all that in a neatly sliced open presentation, rather than disassembled. My Modern Met granted permission to use photos by Mike Warren/ Jonothan Woodward. The post Interview: Everyday Objects Split in Half Reveal Unexpected Inner Workings appeared first on My Modern Met.